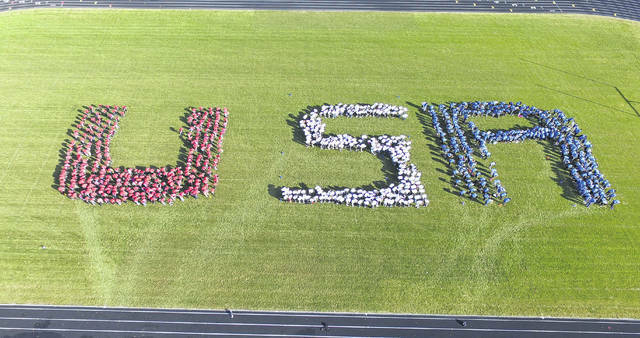 During Olentangy Hyatts Middle School’s annual Living History Day on Nov. 17, students gathered on the football field to spell out “USA” in honor of veterans and active military members. More than 100 veterans and active military personnel were honored during the event. The photograph was taken with a drone camera by school district staff.